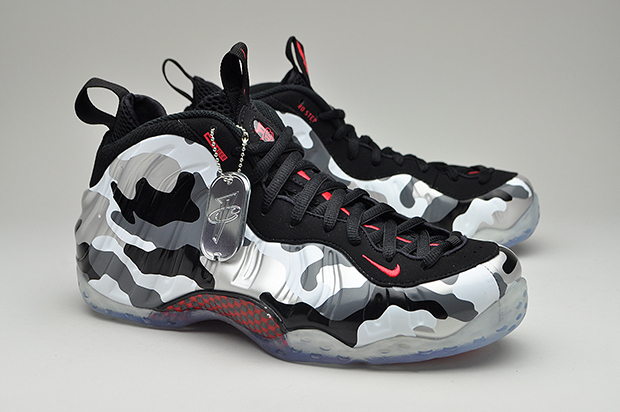 Nike’s Air Foamposite’s can cause conflicting opinions to arise on these shores. We have seen a rise in popularity over the last few years which is probably due to basketball footwear fanatics looking for a departure from the Jordan craze, something like that anyway. Last years “Galaxy” caused folks to go rogue and this new “Fight Jet” colour-way continues the craziness. Foamposite’s are straight ’90s NBA. They represent the latter half of ’90s basketball footwear like no other, with a progressive Foamposite technology which absorbs the heat off of the foot to soften the hard shell and mould it to your personal shape. Although not an official part of Penny Hardaway’s signature shoe line the royal blue Foamposite’s were most associated with Hardaway, and his official Nike signature shoe line utilised Foamposite technology extensively. If only he didn’t get injured. Some folks will also remember Ray Allen AKA “Jesus Shuttlesworth” in ‘He Got Game’ wearing a pair of Foamposite Pro’s throughout the film. 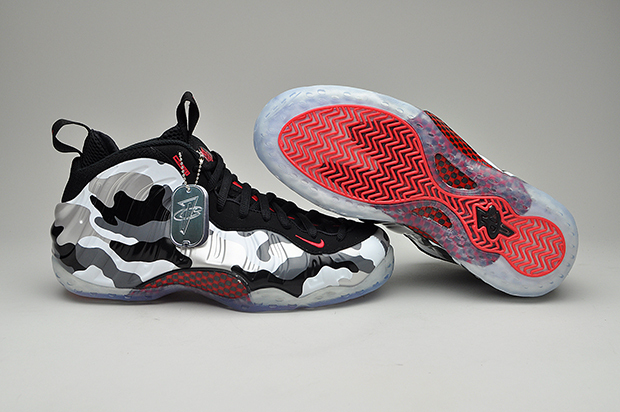 Bringing it back to 2013, this “Fighter Jet” release combines a striking camo pattern with hits of black and red. It’s already a loud shoe and with this release things just got turned up to eleven. 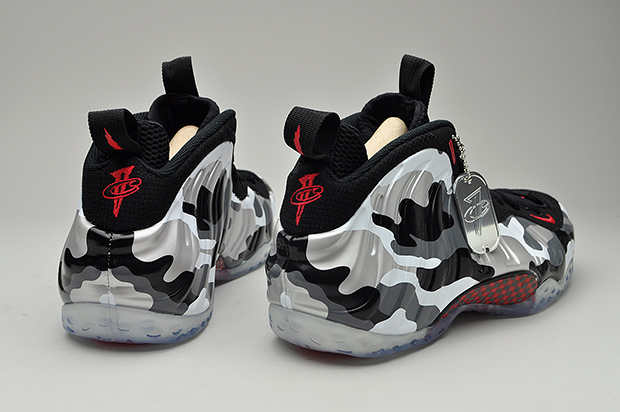 The Penny dog tags are fitting here and that translucent outsole never gets old on the Foam’s. Although not exactly a British staple like the Air Max 90, the Foamposite’s seem to be garnering the respect they deserve here in the UK with once unattainable releases such as this one becoming easier to get hold of. Look for these dropping over at SoleHeaven tomorrow, February 26th at 2pm GMT. Seems people slept on these. In a way I understand why, its bit of a hard sneaker to wear but if you get it right maybe with and all black outfit of with shorts, these would look sick.